Washing less to save? Think again. According to Kelly Blue Book, cleaning on a regular basis is “money in your pocket. When it’s time to sell, it can easily make $1,000 difference.” Considering how many washes you can buy with $1,000, car washing may pay for itself. During the winter, road salt can rust your vehicle. When it rains and snows, sulfuric and nitric acids in acid rain can literally eat the finish. By regularly washing both the top and bottom, your vehicle is protected from corrosives that attack your vehicle all year long. Ultraviolet sun rays accelerate the aging process and diminish the gloss of your vehicle. Sunlight burns-in the damage from bugs, bird droppings, tree sap, tar and leaves. 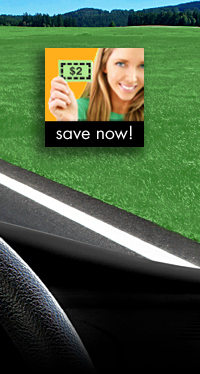 Car wash protectants provide a sun-block for your car that protects and enhances gloss and shine. 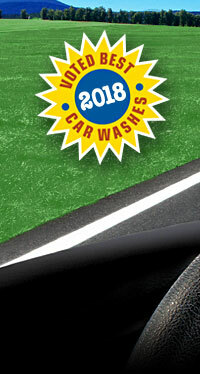 Car washing gives your vehicle a smoother ride by rinsing away dirt and grime that collect in the wheels and suspension. If you don’t regularly wash your vehicle (particularly underneath) you might be amazed at the difference it can make. Ninety-five percent of those interviewed in a survey said that driving a clean car cheered them up. It’s a lot like how we feel in a messy house versus a tidy one. And much like the clothes we wear, the way our vehicle looks can have an effect on the way others see us.